Discover the majestic beauty of the Kohala Coast with the stunning accommodations at Paniolo Greens. 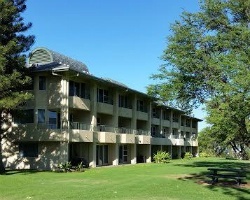 Find timeshare resales and rentals priced up to 70% below retail value with SellMyTimeshareNow.com. Located on the scenic Kohala Coast of Hawaii's Big Island, the Paniolo Greens resort offers a tropical vacation experience unlike any other. You can call the swaying palms and warm island breeze that fill the resort's grounds your very own home-away-from-home each year with the luxury suites located at the resort. You'll be able to find the beach just beyond the grounds for endless fun in the sun, and you'll be able to enjoy a close proximity to signature Hawaiian attractions you won't want to miss. From the swimming pool, hot tub, and sundeck that are built for relaxation, to the free parking and beach equipment rentals that provide the ultimate convenience, everything about the Paniolo Greens resort spells vacation. The resort's luxurious two bedroom villas ensure that there is enough space for your entire group. Ideal for families or other small groups, the split-level units incorporate modern furnishings with in-room amenities built for comfort. 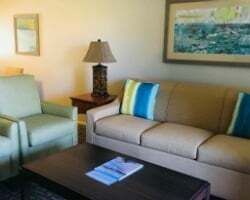 With private lanais, multiple bathrooms, sleeper sofas, air conditioning, and more, you'll have everything you need to create the perfect Hawaiian vacation every year. Are you ready to find your dream Hawaii accommodations? Browse discounted timeshare resale and rental units available at the Paniolo Greens today to secure affordable yearly vacation solutions to Waikoloa. Fill out the form on this page for more information, or call a representative at 1-877-815-4227. When you buy a timeshare resale at the Paniolo Greens Waikoloa, you're not only securing great yearly accommodations—you're getting those same solutions for much less than most. Since timeshare resales at the Paniolo Greens are listed for sale by owner, they're often priced much lower than what the resort itself offers. You can find timeshare accommodations at the resort at discounts of up to 70% off, and still enjoy the best perks timeshare ownership has to offer. Resales at the Paniolo Greens at Waikoloa Village come in a variety of intervals, price points, and ownership types. Typically, you'll find resale advertisements in the form of deeded or floating weeks spread throughout the calendar year, giving you flexibility in finding a vacation solution that suits your preferences. What's more, you could access even more vacation perks and privileges through Paniolo Greens' official club affiliate, Shell Vacations Club. Paniolo Greens is affiliated with Shell Vacations Club (SVC), a part of Wyndham Vacation Ownership. As such, you can become a member of this popular and exciting vacation club with your timeshare resale. You can upgrade your SVC at Paniolo Greens timeshare into the Shell Owners Club to make reservations using Shell points and exchange with other Shell-affiliated resorts. Upgrading can also unlock other SVC benefits for resale buyers, such as SVC Collections and SVC Premium Perks. Paniolo Greens is also affiliated with one of the world's top timeshare exchange companies, Interval International. Exchanging your timeshare with other owners across the globe provides an incredible opportunity to see the world. Your timeshare resale at the Paniolo Greens could enable you to broaden your horizons and discover new destinations, all with an affordable Interval International membership. 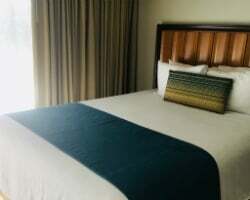 What's more, the Paniolo Greens resort has received the Premier Resort rating from Interval, noting its superior accommodations and amenities, as well as its positive reviews from former guests. 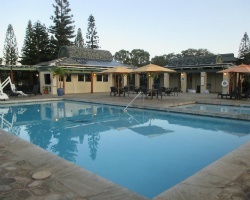 The Paniolo Greens resort welcomes you to the Kohala Coast like no other resort can. On-site, you'll find a dazzling array of exceptional amenities and services designed to make your stay remarkable and memorable. The large swimming pool is complemented by a sprawling sundeck and hot tub for those seeking days of relaxation under the Hawaiian sun. The exercise facilities and recreation center are perfect for active vacationers, while barbecue areas and the beach are located on-site for those who prefer R&R. Beach equipment rentals are available to ensure your beach days are loaded with fun, and the resort's free parking encourages those with rental cars to get out and explore the entirety of the Big Island. Speaking of the Big Island, the resort's location in Waikoloa is perfect for discovering nearby attractions. Ten golf courses are located in the immediate area around the resort, while other signature Hawaiian sites like Mauna Kea, Hawaii Volcanoes National Park, and much more are all just a short drive away. Already Own at Paniolo Greens?